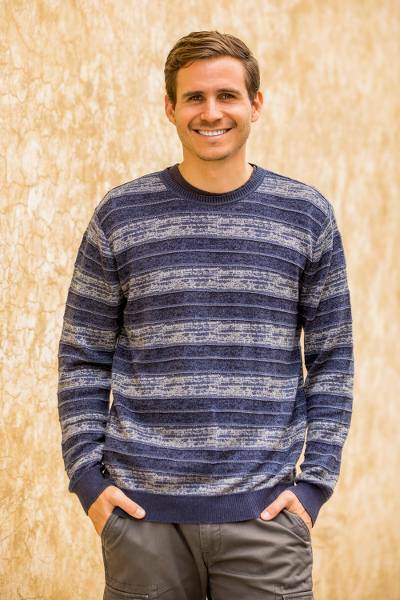 Subtle denim shades are perfect for casual or business wear in this men's sweater from Peru. 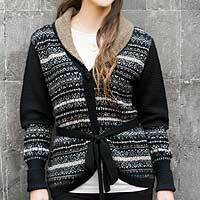 Knit from soft pima cotton, the crewneck sweater features a horizontal striped pattern and solid banded cuffs and hem. Very nice 'hand' fits and feels good. My new fave sweater.